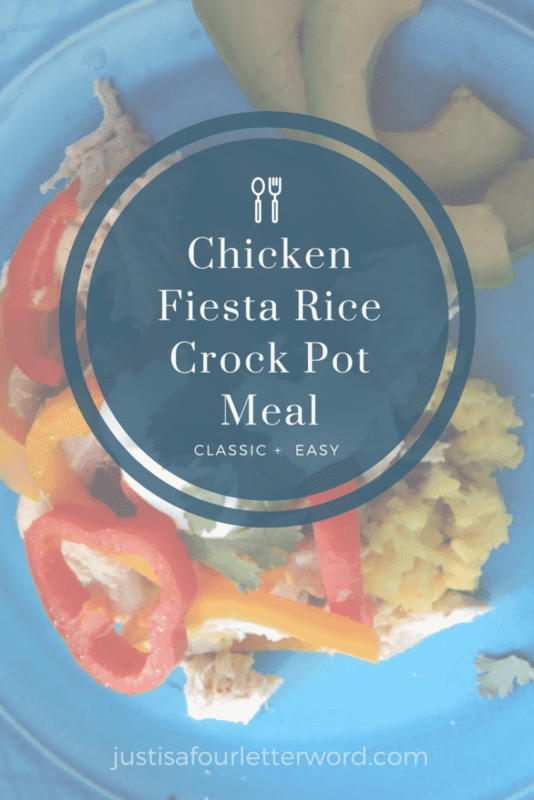 This Chicken Fiesta Rice Crock Pot Family Meal is SO good! As one who does not typically create recipes, I am so proud of my chicken fiesta rice! I love reading recipes and getting them from other people and following them to a T. I might even sample one ingredient here or there or omit something because I don’t have it on hand, but my mother always said, “if you can read, you can cook”. And baby, I can read. So you can imagine my excitement when not only did I create something, I created something GOOD! I should disclose that the idea of this recipe isn’t mine completely, but it is close enough. You see, I made this amazing meal last week and it was such a hit that I decided to experiment. 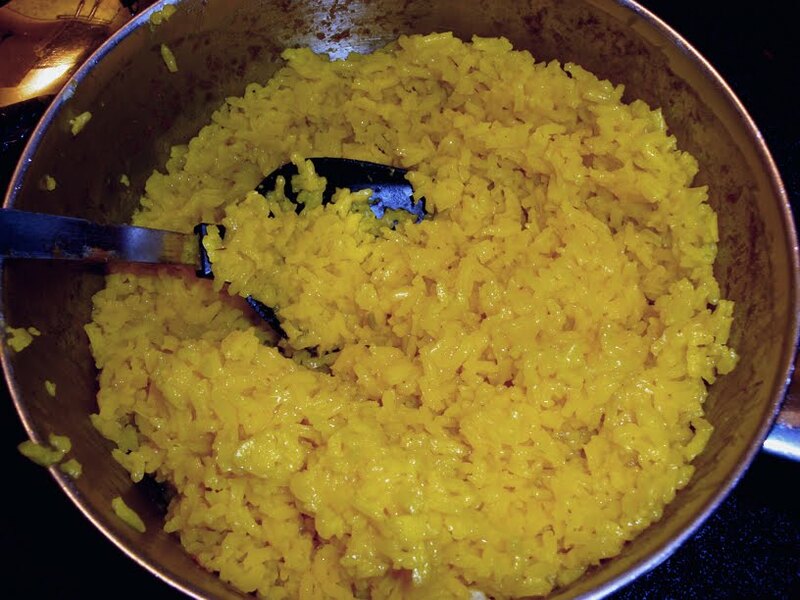 Thus my chicken fiesta rice was born! 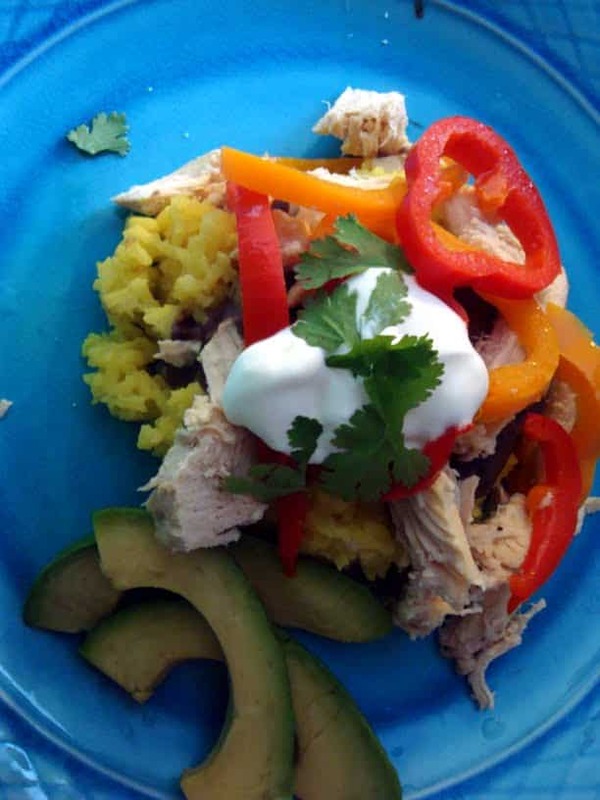 Chicken Fiesta Rice is easy and delicious with layers of flavor from yellow rice to black bean puree and chicken with delicious vegetables and toppings. My mouth is watering just thinking about it! I didn’t include amounts because I just sort of eyeballed it.This isn’t spicy though it definitely could be! Lay chicken breasts in a crock pot and cover with vegetable broth. Add salt, pepper, and garlic. 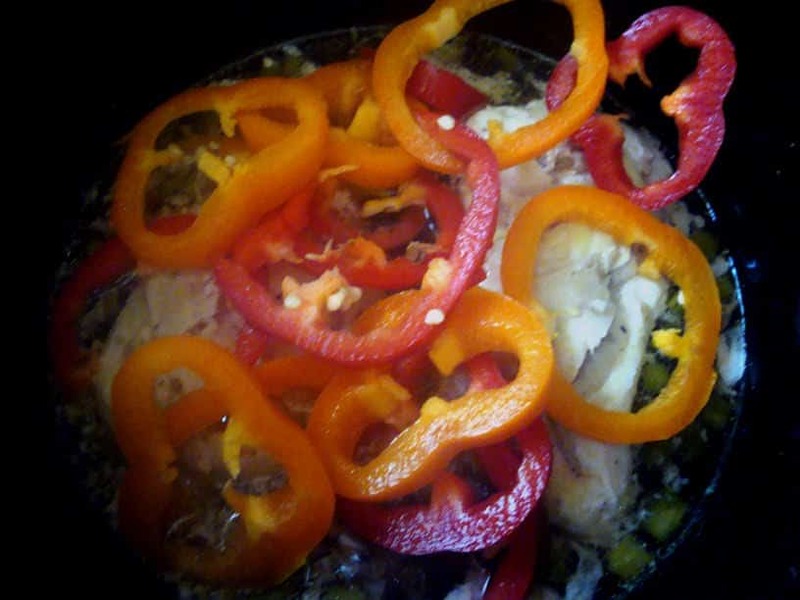 Cover on low until done (depends on quantity – usually a couple hours) – add peppers toward the end of cooking time. Combine black beans, fresh Cilantro, Chili Powder and Salt in a food processor with a bit of water and pulse until smooth. Add a bit of cheese and heat either on the stove on low or in a microwave. About 30 minutes before chicken is done, begin cooking the rice as the package directs (usually takes about 25 min) and throw the peppers (now sliced) in the crock pot on top of the chicken. This will steam them and add flavor to the chicken! It’s no secret in my house that we love our food in a pile, This can be served in a bowl or on a plate. I went with plates because it looked nicer for the pictures. Start with the rice and spoon on the black bean puree, top with chicken and veggies and a dollop of sour cream! 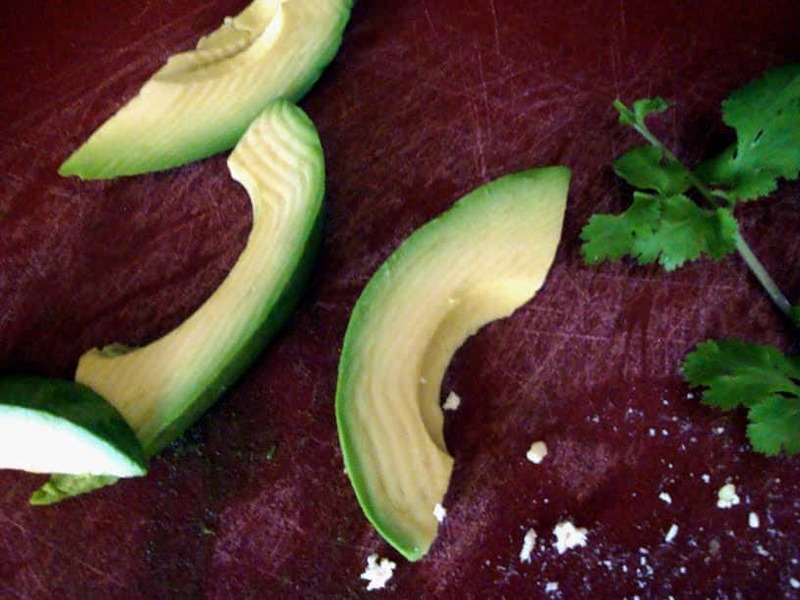 Garnish with fresh cilantro and serve with avocado wedges! Seriously, so so yummy. Let me know if you try it! I’d love to know what you think! um, whoa. gotz to try this out! nice job lady, …is it bad that it's 10:30 and i wish i could eat some right now? !